The OnHub router now supports IFTTT, making your smart WiFi router even more useful during day-to-day life. 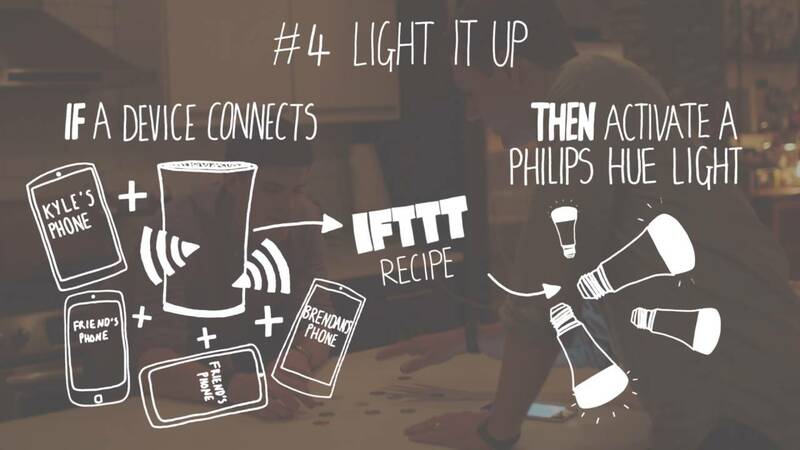 IFTTT is based on recipes, which are commands to be followed by the service whenever a particular action occurs. As a basic example, when you connect your mobile device to OnHub, a Philips Hue light turns on. Pretty neat, right? For a few more examples, OnHub details that users could be notified any time a loved one connects or disconnects to the WiFi at home, prioritize certain devices as soon as they connect, or control different devices (speakers, phones, tablets, etc.) and connect them to other products and services that support IFTTT. It seems that the possibilities are quite endless, meaning recipe creation should be quite fun. To see the basic recipes that have already been created which you can use, look here. In celebration of this launch, Google and IFTTT are hosting a little challenge. The details are below. To sum it up, tweet your OnHub recipe, and if it’s good enough, you could win a few awesome prizes. What can you do with OnHub and IFTTT? Over the next four weeks, IFTTT is hosting a challenge. Tweet your OnHub Recipe suggestions to @IFTTT on Twitter and you could win a whole bundle of free gadgets, including a new OnHub, WeMo switches, Nest cams, and more.